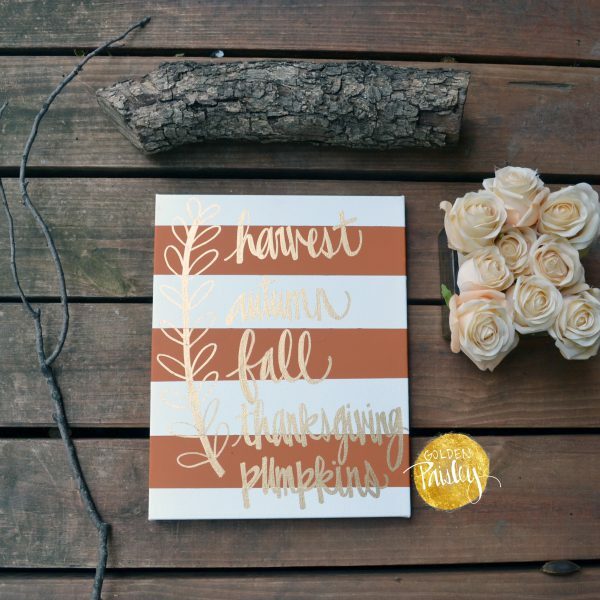 Fall is my favorite season! 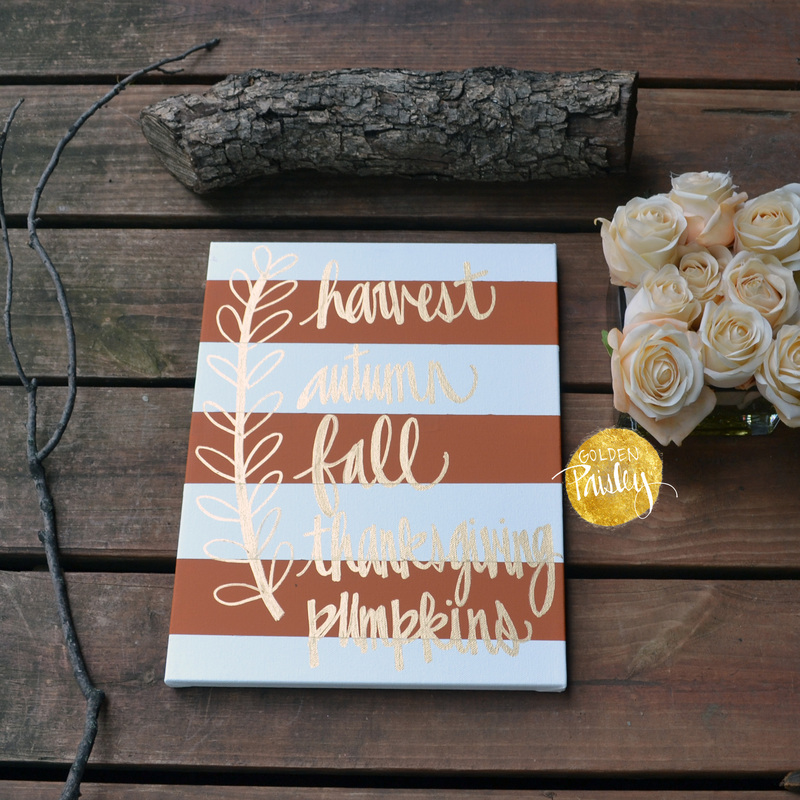 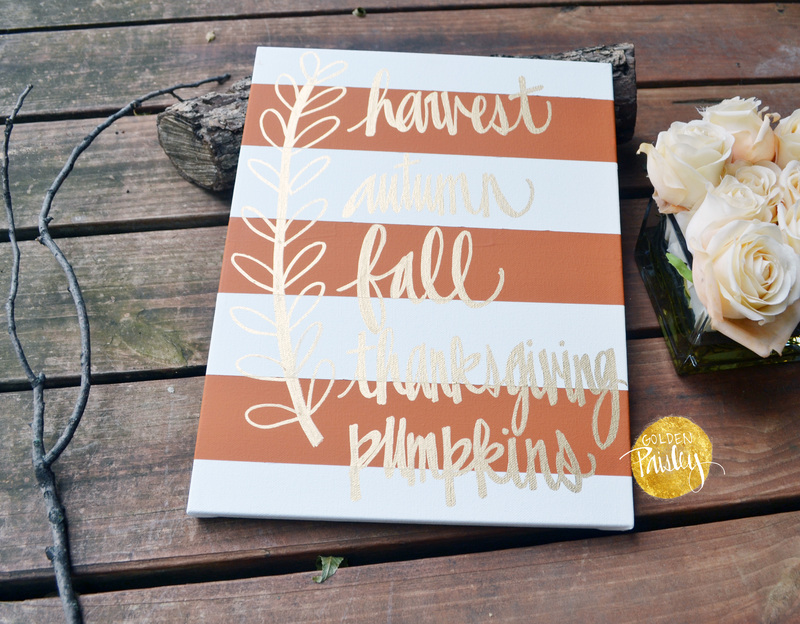 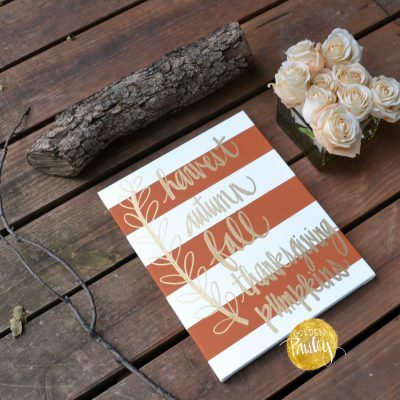 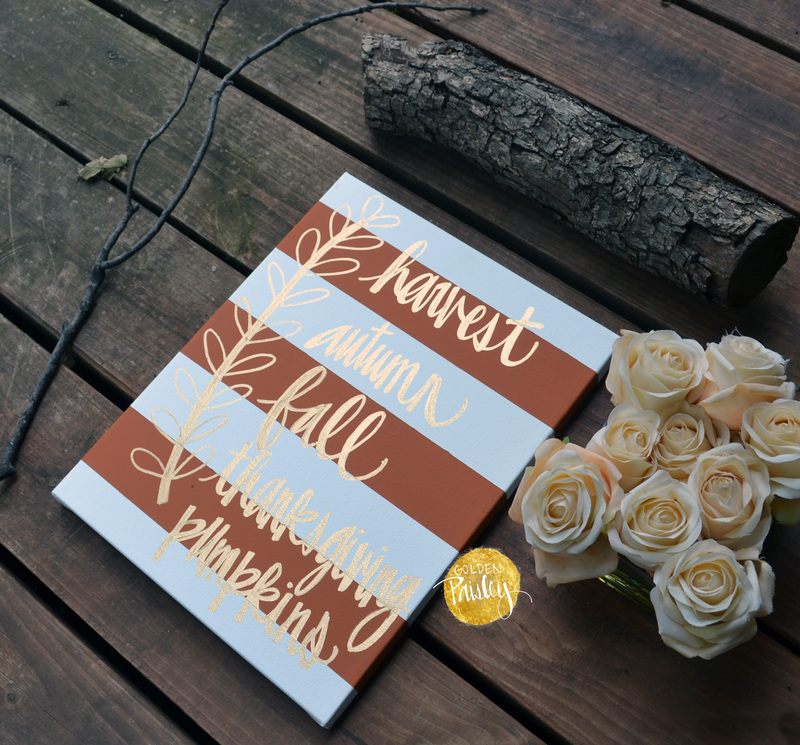 To create this canvas, I borrowed the design from one of my most popular striped canvases, and changed the words to festive fall words that remind me of my favorite parts of the season! 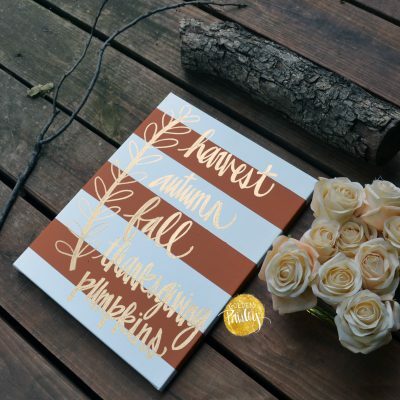 The words on the canvas are: harvest, autumn, fall, thanksgiving, and pumpkins. 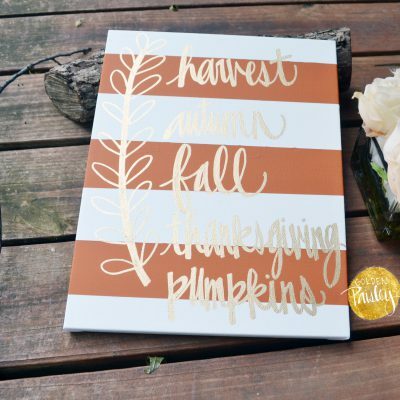 The beautiful warm burnt orange color and gold text of this canvas will make it match your autumn season decor perfectly!